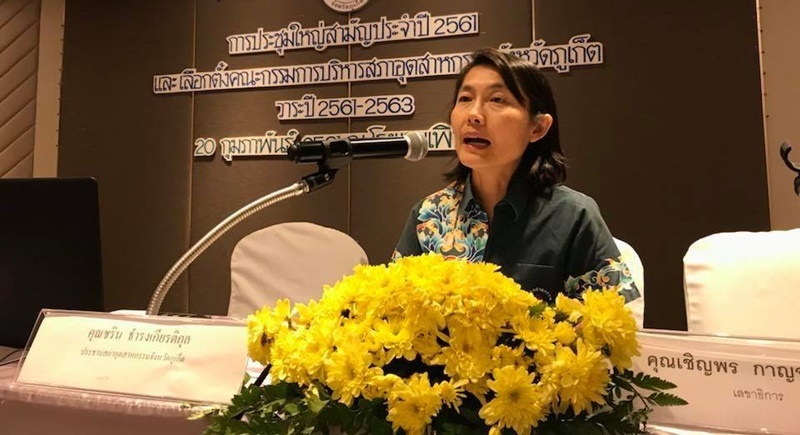 PHUKET: The new President of the Federation of Phuket Industries was announced yesterday (Feb 20) at the Phuket Provincial Industry Office’s Annual General Meeting held at the Pearl Hotel in Phuket Town. The selection of the new President was made by vote and Chernporn Karnjanasaya was selected over a further 24 nominees. Ms Chernporn will hold her position of President until 2020. Outgoing President Charin Thamrongkiatsakun discussed his performance during his tenure and also thanked members of the federation for their support throughout his two years in the position. The Federation of Phuket Industries is a non-profit organisation whose main main duties are promoting and supporting industries and focusing on developing sustainable growth for all industrial operations in the province. Never heard of them. Anyone? A thai non profit organization supporting Phuket industries? Such as...?